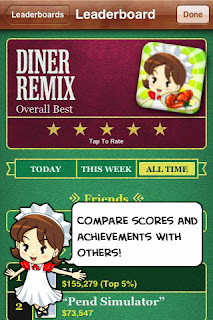 We have just released our newest iPhone®/iPod touch® game, Diner Remix! 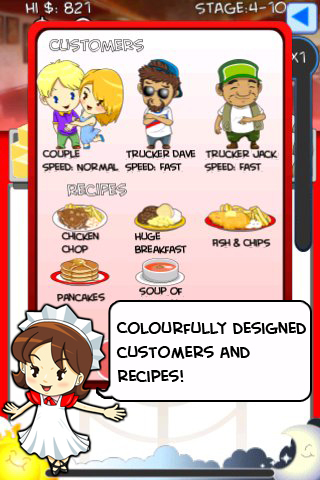 Diner Remix is a fun and colourful reaction-based game. 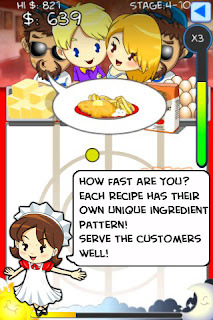 See how fast your fingers are when serving piping hot food to your customers, as the ingredients go flying by. 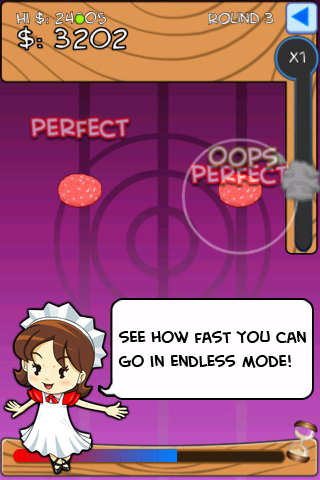 Mice, food packaging and salt shakers stand in your way to getting a perfect game, so train your fingers well! You can also share and compare your scores in Game Center to see who is the best cook of all! Once you have unlocked the Endless Mode, compete with the best to get the highest score. How many consecutive successful taps can you get? 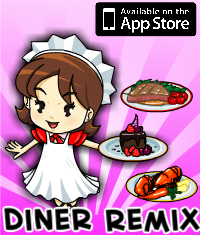 Grab Diner Remix from the App Store today!